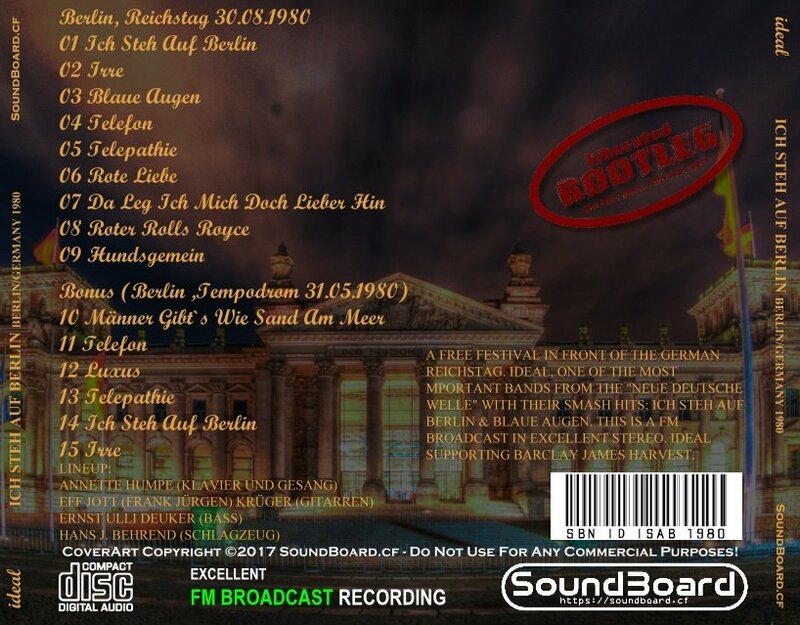 A free Fesitval in front of the German Reichstag. 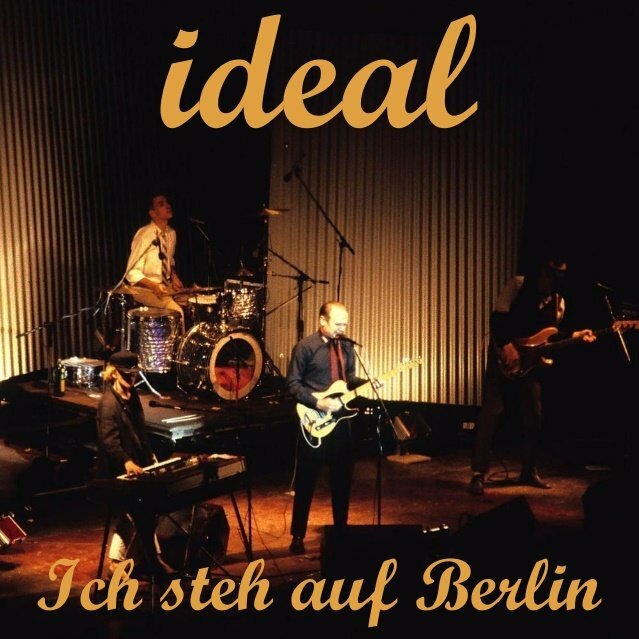 IDEAL, one of the most important bands from the "NEUE DEUTSCHE WELLE" with their smash Hits: Ich steh auf Berlin & Blaue Augen.This is a FM broadcast in excellent stereo. IDEAL supporting Barclay James Harvest. Ich Steh Auf Berlin 0 out of 5 based on 0 ratings. 0 user reviews.